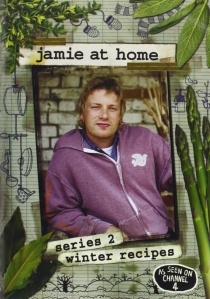 Celebrity chef Jamie Oliver continues to share his passion for cooking tasty meals using home grown produce in Jamie At Home: Series 2 - Winter Recipes, released on DVD by Fremantle Home Entertainment on 8th September 2008, and features seven Winter themed episodes from the second series of his popular TV show. The first episode sees Jamie making a case for putting rabbit back on the menu. Regular viewers will know how much Jamie loves his vegetable garden. The problem is, so do the local rabbits, which are never happier than when they are chomping their way through his fresh veg. "I do have a problem with rabbits doing that," says Jamie. 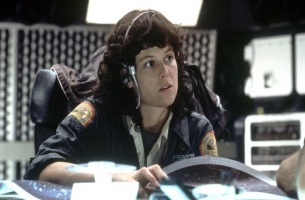 "But I don't have a problem with rabbit on my plate." To show how tasty rabbit and hare can be, Jamie knocks up a gorgeous game ragu that's so simple to make you'll be happy to forget your long-eared childhood pet and tuck in. Winter vegetables get a look in when Jamie praises the delights of the brassica family (including cabbages, broccoli and sprouts), cooks up some warming winter comfort food of crisp roasted vegetables and rustles up a vitamin packed coleslaw in next to no time. The versatility of eggs is explored when Jamie makes good use of those supplied by his newly acquired free-range chickens in an Oliver home favourite that puts a simple but tasty twist on eggy-bread. James also shows off the flexibility and diversity of lamb by cooking some classic Middle Eastern and British dishes using Welsh lamb when sheep farmer DaphneTilley comes to visit and divulges some key facts about lamb including the differences between lamb (usually under six months old), hogget (a year old or more) and mutton (over two years), and how good rearing conditions won't just keep the lambs happy, as they ultimately make for much tastier meat.